Fried. Bruckmann's Verlag in München & Berlin. 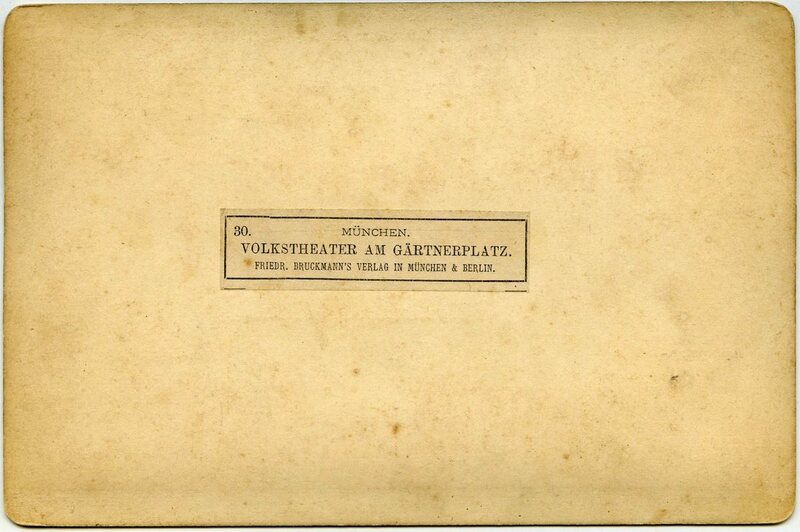 Major printing & publishing firm founded by Friedrich Bruckmann (1814-1898) in Frankfurt, 1858 (as 'Verlag für Kunst und Wissenschaft'); moved to Stuttgart in 1861 (and started to trade under the Bruckmann name, with variations), then to Munich in 1863. 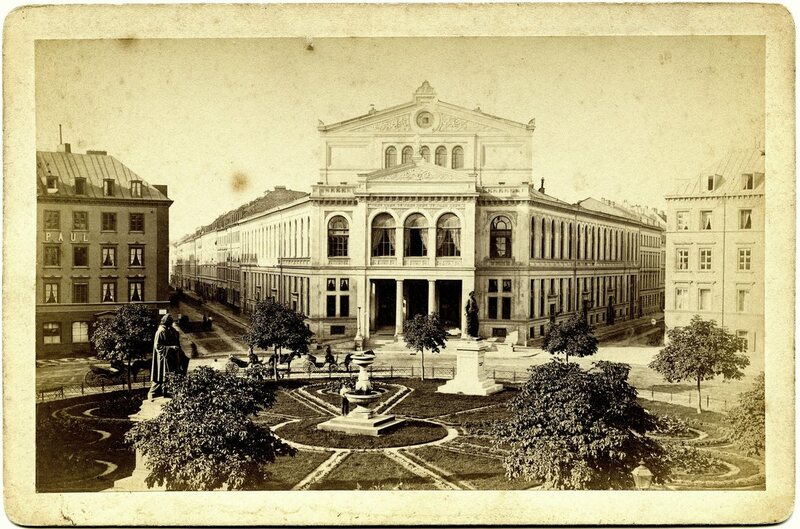 The firm expanded with bases set in Berlin, Paris, New York, Vienna and London by 1868, and made a point of using the latest technologies in photomechanical process (collotype in 1875, photogravure in 1882). From 1885 published the 'Kunst für Alle' magazine, which became 'Die Kunst' in 1899. Friedrich was succeeeded by his sons Alphons and Hugo; the latter's ties with the NSDAP led to a brief dismantling of the company (1945-48). From the 1930s the firm gradually specialized in leisure, travel & alpine literature, eventually abandoning art in 1999. Maximillan II Koenig von Bayern. 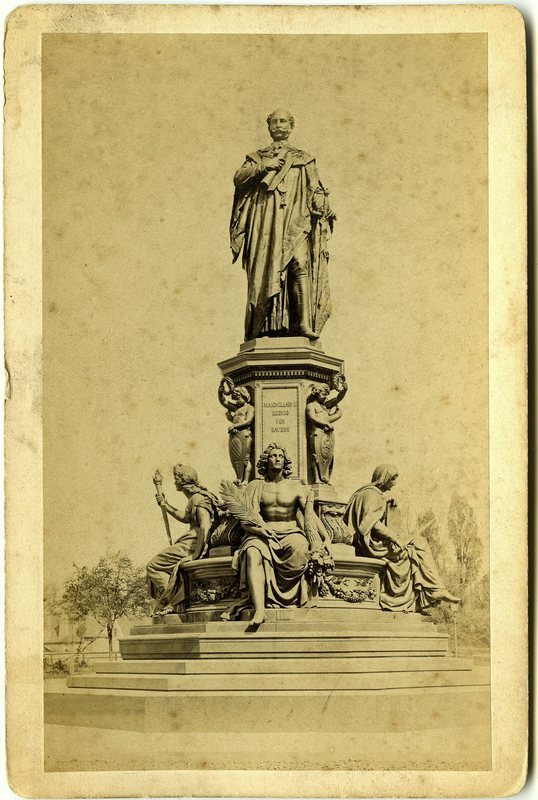 Maxmonument in München. 30. München, Volkstheater am Gärtnerplatz. Friedr. Bruckmann's Verlag in München & Berlin.